Pearlettes are girls ages 4-8 years old who are mentored by ladies of Zeta Phi Beta Sorority, Inc. to become outstanding leaders in their community. The purpose of the Pearlette program is to teach young girls the importance of serving their community, developing high academics and personal standards. 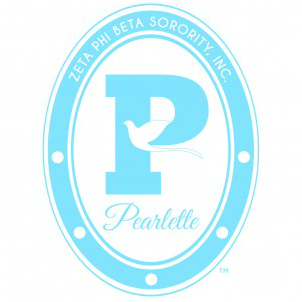 The Pearlettes were adopted by Zeta Phi Beta Sorority, Inc. as a National Youth Auxiliary during the 1994 International Conference (Orlando, Florida). Pearlettes are precious pre-school and elementary age young ladies who want to emulate Zeta’s ideals of Finer Womanhood, Scholarship, Community Service, and Sisterhood. Through various programs sponsored by Kappa Zeta chapter, Pearlettes gain greater self-esteem, lasting friendships, cultural enhancement, and social awareness. For additional information about Kappa Zeta Youth Affiliates Pearlettes girls ages 4-8 years old, please contact: Crystian Flowers by clicking here.